Progressive Web Apps are designed to load nearly instantly and reliably, even if you are under uncertain network conditions. By improving your site’s performance, your users are more likely to engage with your content and spend more time on your site. A Progressive Web App that loads fast means better retention and conversion rates. When users visit a mobile website that works as a Progressive Web App, they have the choice to add it to their home screen. This helps them save the PWA for instant access and start using it regularly. Progressive Web Apps launched from the home screen will appear in the task switcher separate from the browser. Users will not see an URL within the PWA, nor will they find traditional browser actions such as bookmarking and navigation controls. When PWAs are installed they not only offer the same performance than a mobile app, but also require less device space and use less data. After building a PWA to improve their mobile experience, the company Alibaba.com saw a 4x higher interaction rate only with the add to screen feature. User experiences can be undermined by connectivity issues. However, because they use caching to maintain offline functionality, Progressive Web Apps can be reliable even with the network isn’t. This means that if you temporarily lose your connection, you will not be interrupted while using the Progressive Web App. You may not see the newest data but a stored version instead. By allowing visitors to continue accessing the site offline (and not be left with a blank screen) you keep them busy and engaged. Progressive Web Apps take advantage of one of the most essential features of a native mobile app: push notifications. Push notifications are instant messages that pop up on the user’s device (if the user has explicitly opted in to receive them). They are sent with the sole objective to keep visitors coming back to your PWA, catching their attention with updates or leaving them reminders. They are an incredibly powerful way to increase engagement and improve user retention rates, among many other benefits. 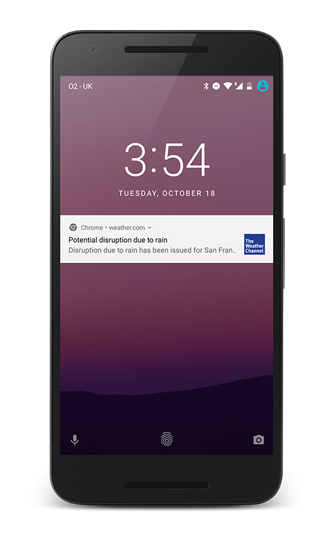 The Weather Channel, for example, developed a PWA that notifies (and re-engages) mobile users when they are likely to be affected by severe weather. PWAs are built to fit all the screens. So no matter where the user accesses it. A Progressive Web App is adaptable to all kinds of devices: mobile, desktop, tablet, etc. 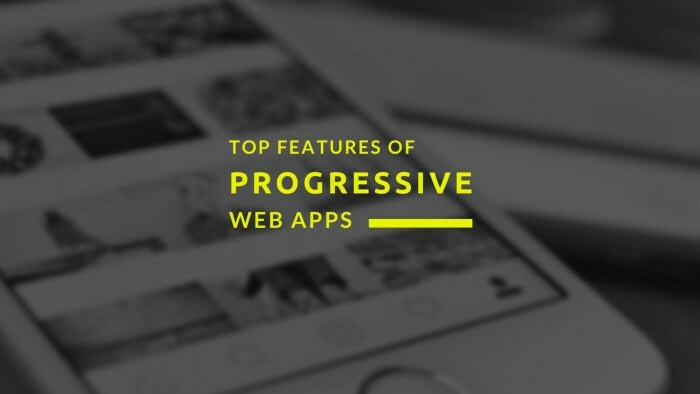 A Progressive Web App is easier to discover because it uses the web to deliver user experiences and can be found on search engines. In addition, it can be directly opened by sharing the page URL, just like any other website. The reach of PWAs is quite massive because of these two main reasons. First of all, billions of people use the web constantly, everywhere. And secondly, PWAs can be accessed instantly from any device and are frictionless to use. They don’t need to be downloaded and installed. The Twitter Lite Progressive Web App is available globally just by visiting mobile.twitter.com on your smartphone or tablet. It minimizes data usage, loads quickly on slower connections, and offers offline support. You can be alerted to what’s happening on Twitter via push notifications, and add the PWA to your device’s home screen, so you can launch it with just one tap. Progressive Web Apps are served over HTTPS, a connection that ensures maximum security and privacy for the users and site data. HTTPS is designed to withstand man-in-the-middle attacks. In computer security, a man-in-the-middle attack happens when the attacker secretly relays and alters the communication between two parties who believe they are directly communicating with each other. A PWA has a secure connection that protects sensitive information. This way the user and the session do not get exposed to these attacks and other vulnerabilities. Progressive Web Apps can change your business in a big way. As we have seen in our previous post, there are many benefits in implementing this technology. PWAs can increase engagement and conversion rates while at the same time reducing data usage and loading times. Here you can find some case studies and stats of PWAs which have provided great benefits for the businesses. “Making the experience of your mobile site radically better by building a PWA helps you engage and retain users who were formerly just passing by.” – Google. If you are a publisher and are interested in building a Progressive Web App, do not hesitate to contact us. We’d be happy to help!